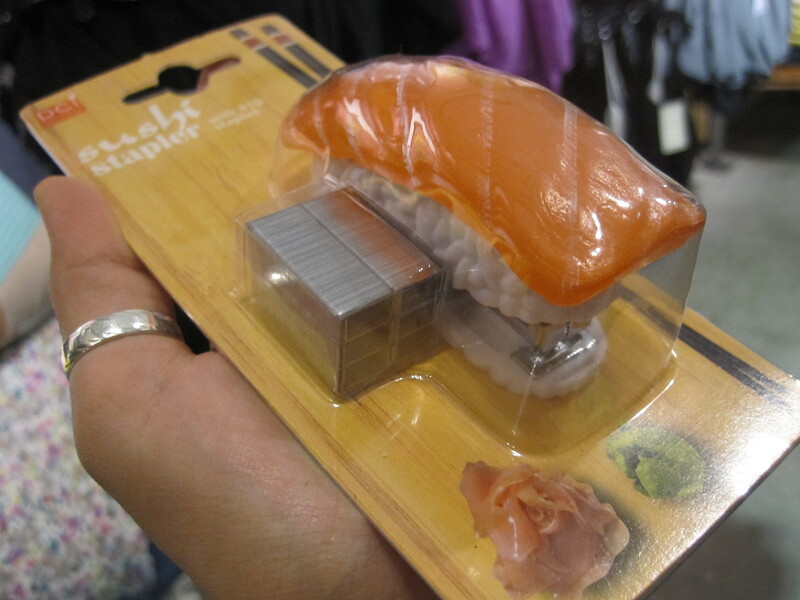 If it wasn’t for the fact that I have a perfectly fine stapler already sitting on my desk (albeit a big clunky one in a drab institutional gray) I totally would have bought this sushi stapler I saw at Urban Outfitters. If I ever used a stapler at home, I would have bought this one but then again, I don’t ever staple anything at home. Point is, this stapler is awesome.